I always enjoy eating legumes (lentils, chick peas, black beans, etc) I love the health benefits of them, however I didn't eat them as often as I liked due to a lack of good recipes. 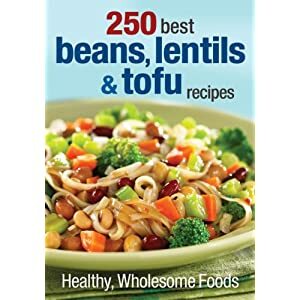 So, I jumped at the opportunity to review 250 best beans, lentils & tofu recipes. This book combats the image that beans and lentils are difficult to cook by providing easy to make delicious recipes. Flipping through the recipe titles, my mouth began to water. (Insert recipe names). Looking through the recipes more closely, I noticed that they didn't call for extravagant, hard to find ingredients for the most part. The cookbook also features many full color photos of some of the recipes. It is printed on quality paper, that will stand up to the test of time and usage. The paperback copy I received, however, won't stay open to the page I want without breaking the spine. I did like that they have so many meatless recipes. Not that I oppose eating meat, but I think it is healthier to have a meatless meal now and then. One day, only having a short amount of time to prepare lunch, I tried the Chick Pea and soup. It was incredibly delicious. The rest of the family enjoyed the soup, too. In fact, My six-year-old demanded she have the rest in her lunch the next day. And as much as I wanted the leftovers, I let her have them. You can purchase this book from Amazon for just $16.14. Disclosure: I was provided a copy of this book for review purposes. As always, I have expressed my honest opinions. This post contains affliliate links with Amazon. I enjoy the addition of beans, lentils, and legumes to my diet too, but can do without the tofu. 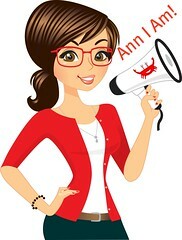 I recently began my attempt to follow the Eat to Live raw food diet. I did well for a month, then got sick for a week or so (salmonella poisoning from farm fresh eggs. That's what I get for cheating on my diet, ha!) Slowly getting back to Eat to Live regime.